Welcome to Mapping Conversion: A Database of Conversion Episodes in Medieval Insular Hagiography. 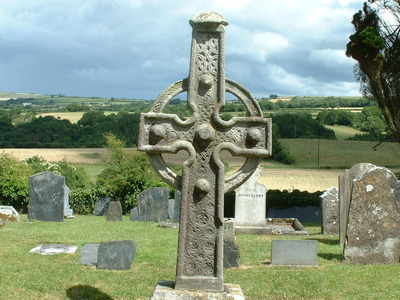 This resource offers a searchable catalogue of religious conversion accounts in a selection of the hagiographic literature of medieval England, Ireland and Wales. It allows users to locate episodes of conversion within a single text and provides key relevant information, including the text’s author(s) and earliest manuscript witness(es). It also allows comparative textual analysis across languages, time and space, through the categorisation of narrative episodes by a series of fundamental variables. As such, it is hoped that this resource will be an aid to researchers of both conversion and hagiography, as well as of early medieval Christianity, society and literature more generally. This resource is the work of Dr Robert Gallagher, Dr Jennifer Key, Professor Máire Ní Mhaonaigh, Dr Helen Oxenham, Dr Sarah Waidler and Dr Myriah Williams and is an Isaac Newton Trust-funded research project based in the Department of Anglo-Saxon, Norse and Celtic at the University of Cambridge. It is linked to the graduate-student project, Mapping Miracles (involving Gallagher, Key, Waidler and Julianne Pigott). The present database was produced in partnership with the ‘Converting the Isles’ network. The Welsh lives were added with the support of ‘Vitae Sanctorum Cambriae: The Latin Lives of the Welsh Saints’. For technical assistance we are grateful to Dr Andrew McCarthy, Dublin Institute for Advanced Studies, and Jen Pollard, University of Cambridge. This resource is currently available as a pilot project and thus not all hagiographic texts featuring conversion are included in the search results at this time. Comments on this pilot project may be sent to Máire Ní Mhaonaigh (mnm21@cam.ac.uk).